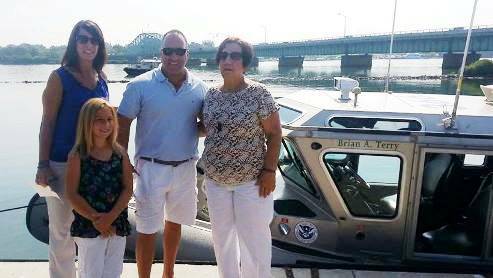 Now, the U.S. Customs and Border Protection dedicated a 25 foot boat at Elizabeth Park near the Detroit River in the name of Agent Brian Terry. The boat will be used to patrol the Detroit River. Terry’s memory was also honored by having the Border Patrol Station where he worked in Arizona named after him. Additionaly, a memorial was placed by his fellow agents and family near the site where Terry was murdered. While these memorials are certainly fitting tributes to a great American hero, perhaps Brian Terry’s family would be better served if U.S. Attorney General Eric Holder would cooperate in Congressional investigations into Fast and Furious (Holder has been held in Contempt of Congress over this issue) and if the Obama Administration would stop promoting members of the Bureau of Alcohol, Tobacco and Firearms like the new ATF Director Todd Jones.